Ashton Woods Homes’ newest community, Pindell Glen in the Crabapple area of Alpharetta, offers the opportunity to build in a secluded community of 13 luxury homes. These homes will feature four bedrooms and three-and-a-half baths with options for additional bedrooms and baths, finished basements and outdoor living. Priced from the $400,000s, the community is perfect for you to call home! 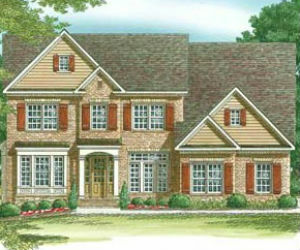 Pindell Glen will offer the Kingston, Wesley, Cambridge and the Kentwood floor plans. Homes will offer an inviting front porches, formal dining rooms, butler’s pantries, spacious living rooms with fireplaces, large kitchens open to keeping rooms and master suites with luxurious baths. The master baths feature his and hers sinks, separate showers, garden tubs and his and hers walk-in closets. Additional options include a third car garage, office space, loft, media room and guest retreat. Basements can be finished with bonus rooms, game rooms and bedrooms. Pindell Glen has easy access to GA 400, shopping, dining, historic Alpharetta and Crabapple, North Point Mall, the Avenues of Forsyth and many local parks. Students attend schools ranked among the top in the state including Crabapple Crossing Elementary School, Northwestern Middle School and Milton High School.